Paige Mackenzie is a reporter for a New York newspaper and is working on a series about the Old West. For her next assignment, her boss sends her to New Mexico to write an article about the healing powers of the natural mineral springs at the Aqua Encantada Resort in Tres Palomas. It sounds intriguing and relaxing, so she schedules some much deserved vacation time and extends the trip. Paige has a reputation for her curiosity and her persistent nature sometimes gets her into trouble. Actually, she is naturally drawn to mysteries and has a talent for exposing the truth. She is friendly and easy going, and she quickly befriends the resort staff and owner. The author does a great job in vividly describing the resort, town and surrounding landscape, she makes you feel like you are actually there. She also has a gift for making her characters come to life. I almost feel like if I were at the resort in New Mexico, I would recognize Miguel! 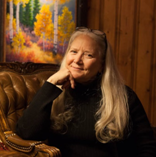 Paige is immediately intrigued with a local artist’s one-of-a-kind jewelry designs, as well as weekly gatherings to hear legends from an elderly storyteller. 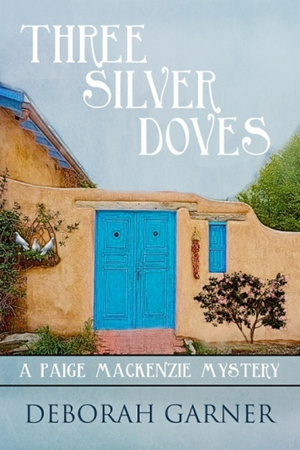 But when identical jewelry shows up on another guest and the storyteller goes missing, Paige’s R&R is soon redefined as restlessness and risk. Curious and persistent by nature, Paige is convinced there’s a connection. Enlisting the help of a flirtatious resort worker seems like a good idea until it begins to test her loyalty to her favorite cowboy, Jake Norris. Will an unexpected overnight trip to Tierra Roja Casino lead her to the answers she seeks, or are darker secrets lurking along the way? 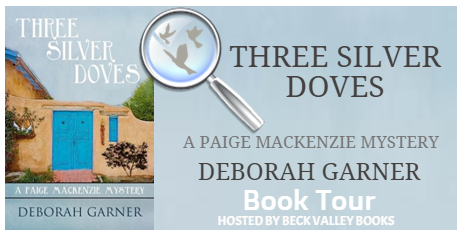 This entry was posted in My Thoughts & Opinions, Reviews and tagged Amazon, Beck Valley, Book, Book Tour, Deborah Garner, Free Time, Giveaway, Mystery, Paige Mackenzie, PayPal, Reading, Review on June 26, 2015 by Tracy. #2 Create a separate plastic storage bin (with tight fitting lid) to store camp essentials – one for your “camp kitchen” aka, pots & pans, dishes, utensils, dish towels, etc. – one for your “camp gear” aka, tools, flashlights, rope, fire starters, bug spray, etc. – one for your “camp pantry” aka, to store all your non refrigerated, dry food items. #3 Have 3 separate coolers – one for meats (freeze ahead of time and put in zip lock bags (to catch blood from the meat so it doesn’t mix in with the water from melting ice)) – one for beverages (I keep these separate because the lid is opened so often). I also fill a gallon zip lock with clean ice for my glass each time we get more bags of ice. – one to serve as the “frig” … for your fruits & veges, condiments, butter, eggs, etc. I freeze gallon jugs of water before hand to keep things cold and then use the melted water to make lemonade. #4 Try to choose a shady campsite – it is cooler during the day and you can always find a sunny place to hang out if you want heat & fun in the sun. #5 Get inexpensive solar garden path lights from the Dollar store – place them around your site so you can see where you are going a night … darkness fall very quickly. These generally work even if they don’t get direct sunlight during the day, maybe not as bright, but enough to light your path. #7 Have two matching (size/shape, so they can stack) laundry baskets – pack your clothes in one with the empty underneath. Each night as you change clothes, put the dirty clothes in the bottom basket and stack the clean clothes on top of it. #8 Have small mesh bags for carry bath & hygiene essentials to the shower house – make one for males & one for females, or one for each person. I also set up a hand washing station at the campsite for quick clean ups. I put a bar of soap in an old knee high nylon stocking and hang it with a towel near the water / dish washing area. #10 Always have a well stocked first aid kit with a basic first aid manual. I use a jumbo vitamin/pill day of the week type container and re-labeled them for a supply of Advil / Benadryl / Pepto-Bismol / etc. 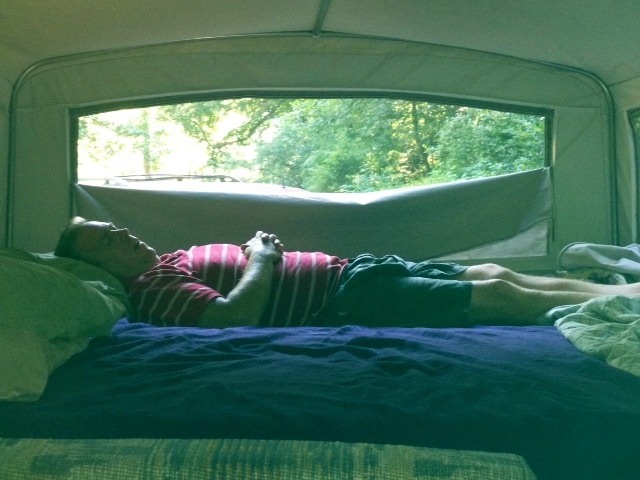 Do you have any tips or tricks or ideas about camping that you could share with us? Leave a comment … I’d love to hear them. We can all learn from each other ! There’s nothing like a relaxing afternoon nap while you are camping. 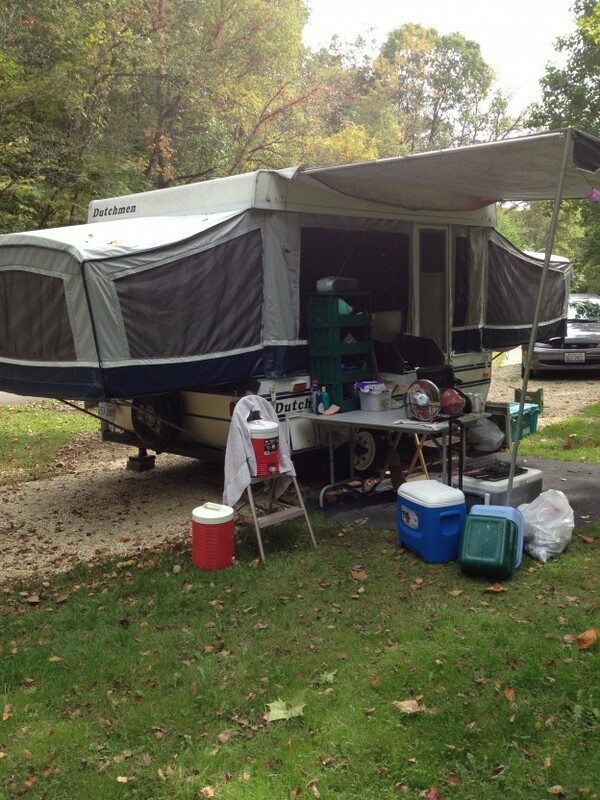 This entry was posted in Meal Planning, My Thoughts & Opinions, Seasonal, Tips and tagged camping, list, organized, planning, Tips, To Do List, Top 10 on June 19, 2015 by Tracy.